|Description| DROPS Lace is a premium blend of 70% baby alpaca and 30% mulberry silk, spun into a 2 strands yarn with a generous length of about 400 meters per skein. 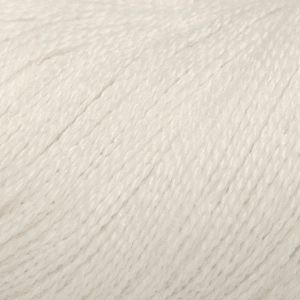 NOTE: DROPS Lace is now produced in 50g skeins but some of our stores might still have 100g skeins in stock. So don't be surprised if when ordering this yarn you receive a combination of 100g hanks and 50g skeins. A premium blendof 70% baby alpaca and 30% mulberry silk, spun into a 2 strands yarn with a generous length of about 800 meters per skein. This means that one skein is usually enough for a large lace project. The fibers are untreated, which means that they are only washed and not exposed to any chemical treatment prior to the dyeing.This highlights the fibers’ natural properties, while it provides also a better shape and texture quality.